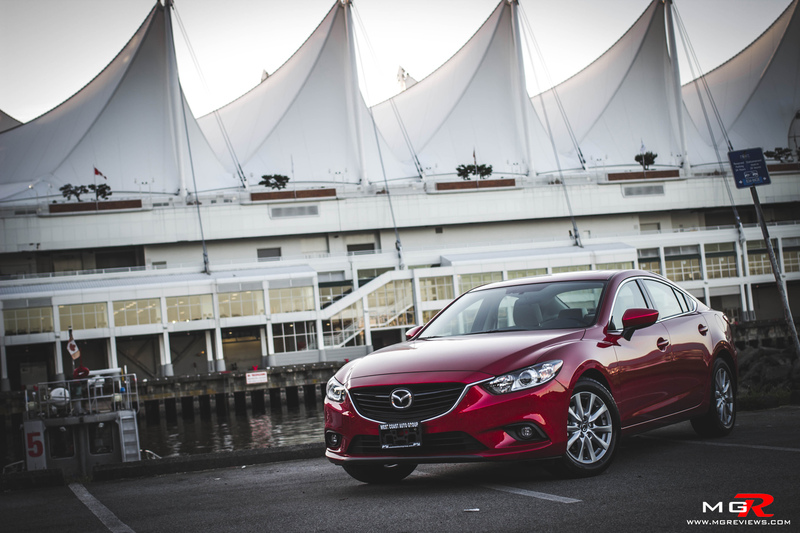 If you’re in the market for a new mid-size sedan then you’re spoiled for choice. 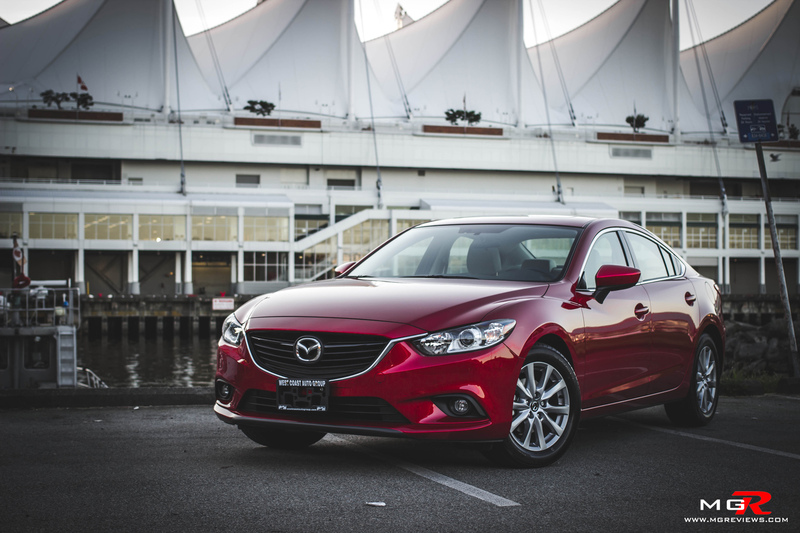 Many vehicles in this car bracket offer good fuel economy, good interior space, and gadgets to satisfy the most tech savvy person you know. 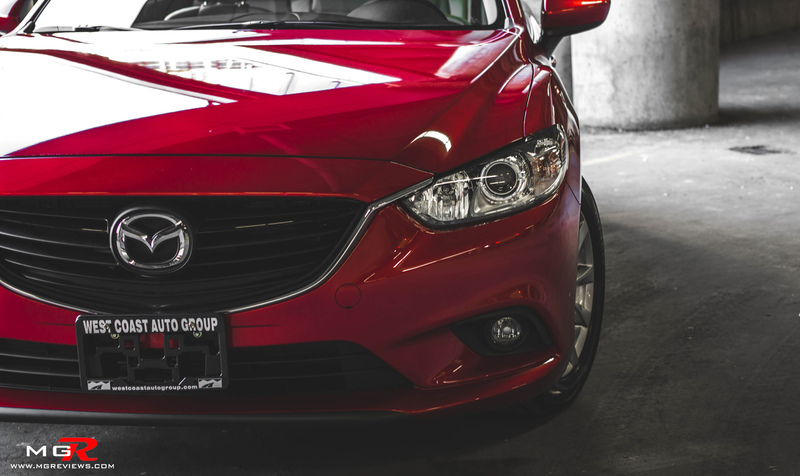 Mazda is trying to stand out from the crowd by giving the Mazda6 sleek styling, innovative technology, and good old fashioned fun-to-drive characteristics. 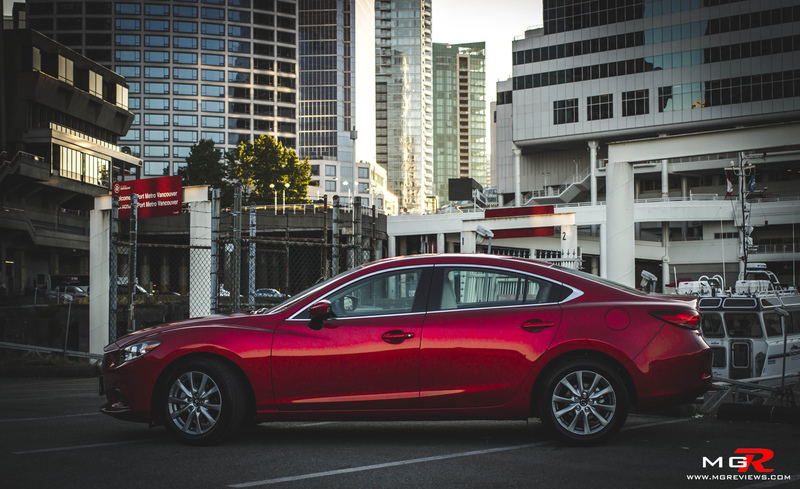 Performance – Unchanged from last year, the 2015 Mazda6 is equipped with the same 2.5L inline-4 Skyactiv-G engine producing 184 hp and 185 lb-ft of torque. For most city dwellers, the power from this engine is enough to satisfy you daily needs. 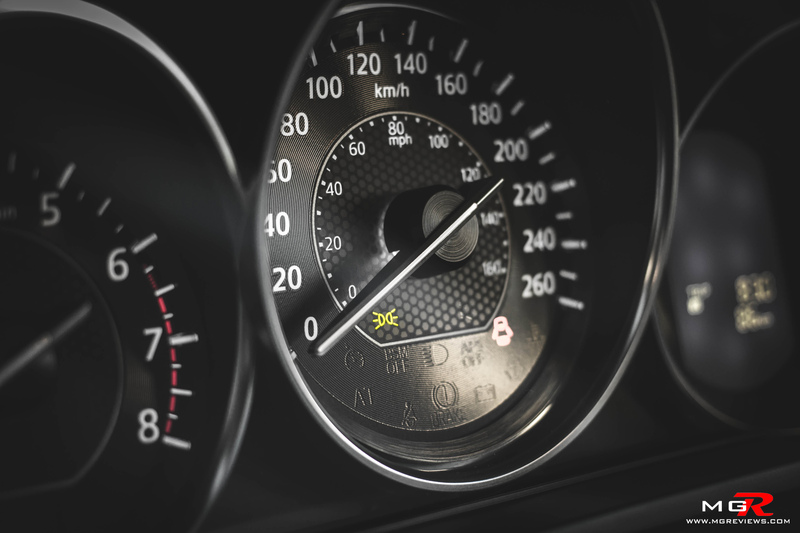 The engine feels responsive all the time and power is abundant throughout the rpm range. This engine is crammed full of new technologies that were designed to improve efficiency and lower the fuel consumption. One of the biggest improvements is the new i-ELOOP system. 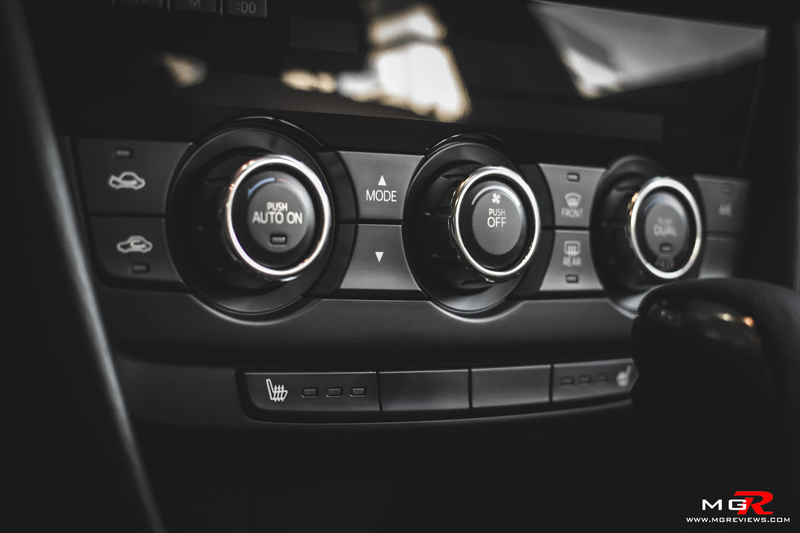 In a normal car, the alternator continuously powers all of the vehicle’s on-board electronics such as heated seats and satellite navigation to name a few. Because the alternator is continuously providing electricity, it drains the engine’s power and therefore increasing the fuel consumption. i-ELOOP captures the energy that would be wasted into heat when braking and stores it into a capacitor which is then used to power all of the vehicle’s electronic devices thus reducing the strain on the engine and increasing the fuel economy rating. You can think of this as hybrid technology but the difference being is that it doesn’t help move the car. Unfortunately Mazda no longer offers a V6 engine as an option. 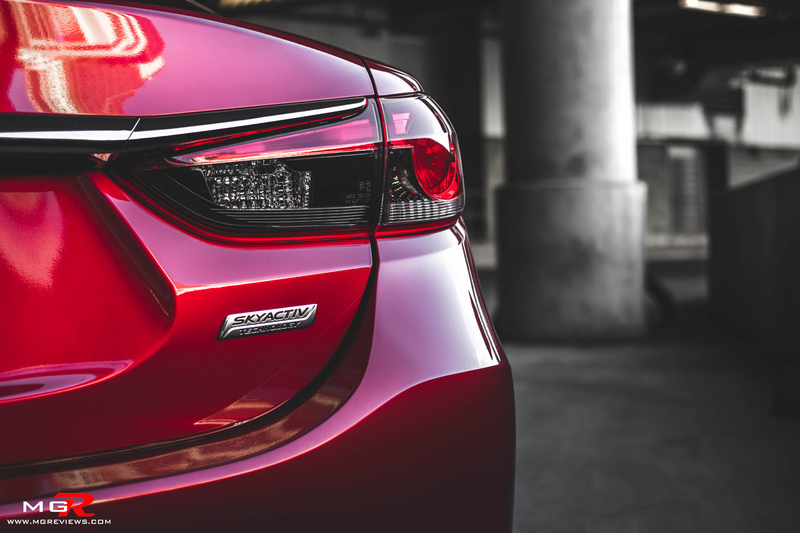 In their efforts to be a more environmentally friendly company, Mazda has dropped all V6 power trains from all but one of the models that they produce (CX-9). 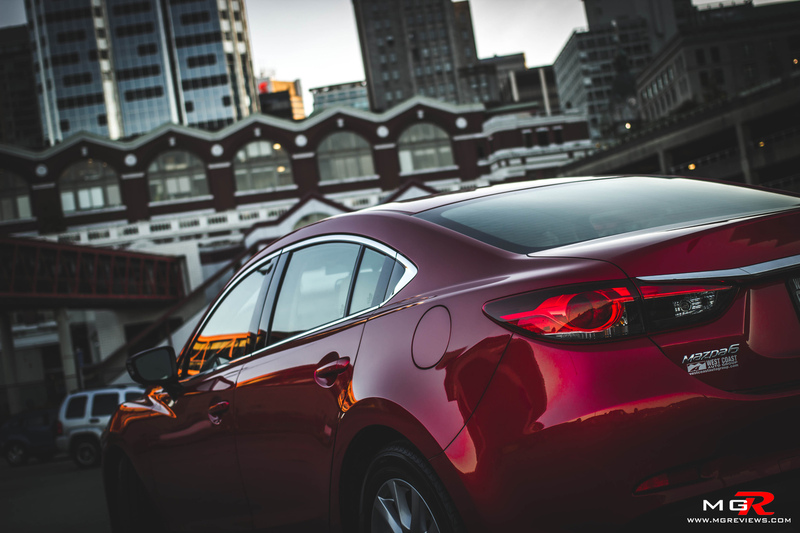 However, Mazda is currently developing a new diesel engine that will supposedly produce 300+ lb-ft of torque at rpms lower than 2000 and then the Mazda6 will be able to compete against its V6 powered counterparts from Toyota and Honda. 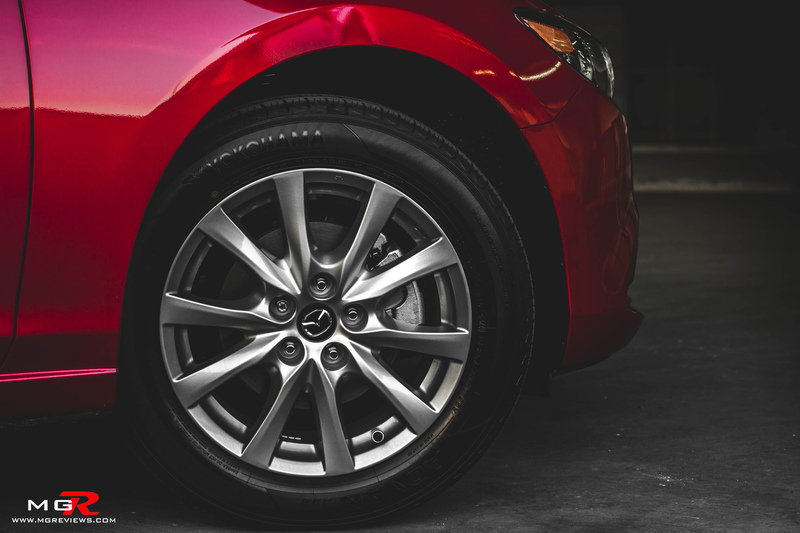 The Mazda engineers have also been hard at work developing the chassis of the Mazda6 by utilizing aluminum to save weight and only using high tensile steel in crucial areas for safety and rigidity. 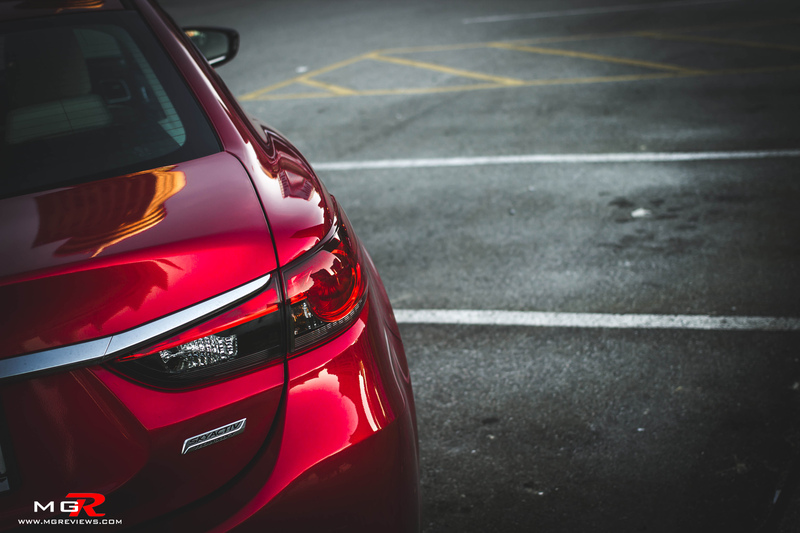 The end result is a mid-size sedan that weighs approximately 1450kg, there are some sports coupes that weigh as much or more and yet this is a sedan that can carry 5 passengers. 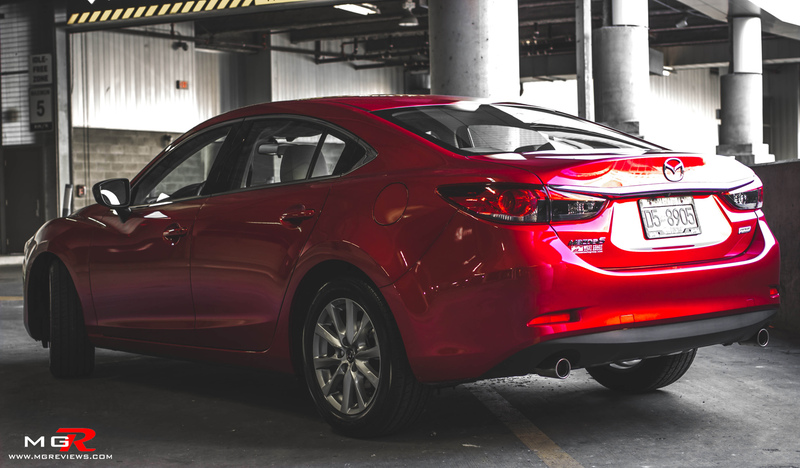 This reduced weight figure, along with the powerful “base” engine, lets the Mazda6 sprint to 100km/h in 7.6 seconds. The reduced weight also translates to exceptional handling around corners. The entire suspension geometry was redesigned to be more comfortable on city streets but also provide excellent cornering grip. 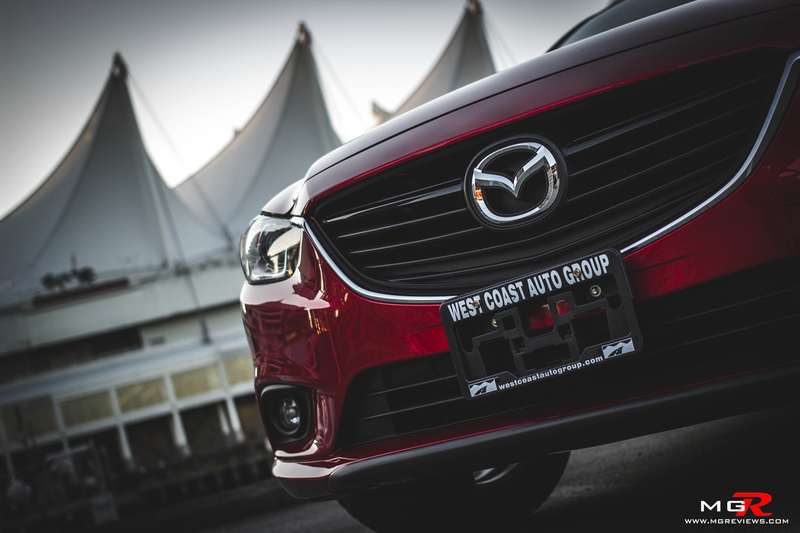 Couple that with the exceptional steering feel from the front tires, and this is probably one of the best handling mid-size family sedans that is available for sale right now. One honorable mention about this car is that it is one of a very few that is available with a 6-speed manual transmission. 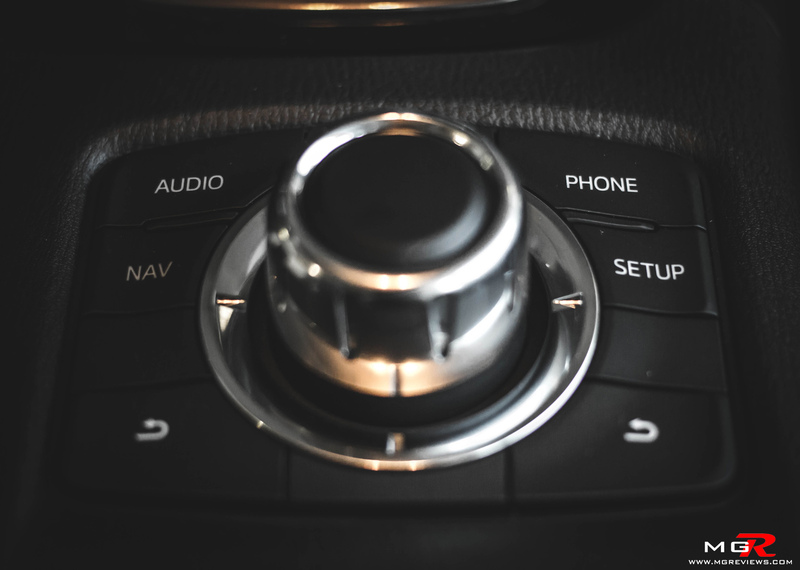 While the automatic transmission is quick and smooth, it’s nice to see that the traditional manual transmission hasn’t gone extinct… yet. 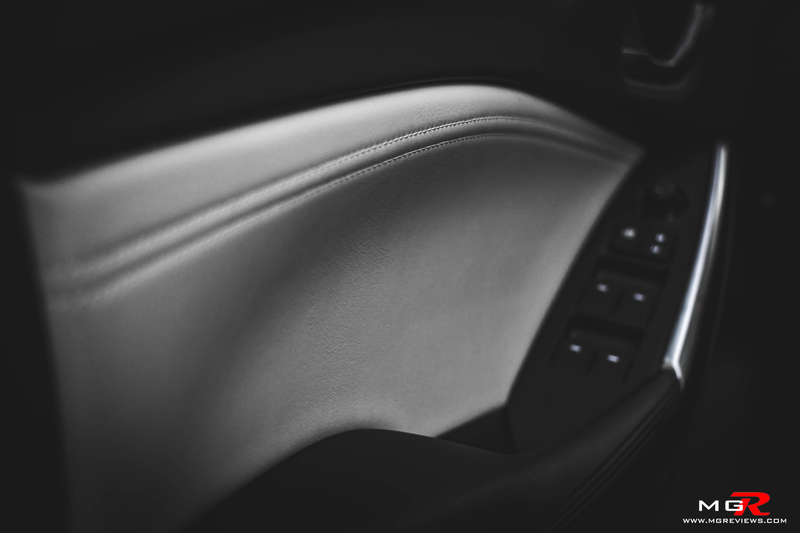 Comfort – The interior fit and finish is on par with not only its rivals but also with sedans that cost twice as much. The base model is fitted with cloth seats but of course the higher end models are available with leather and contrasting stitching. There is also more passenger space than the previous generation of the 6 and taller people will have no problems with head room in the back seats. 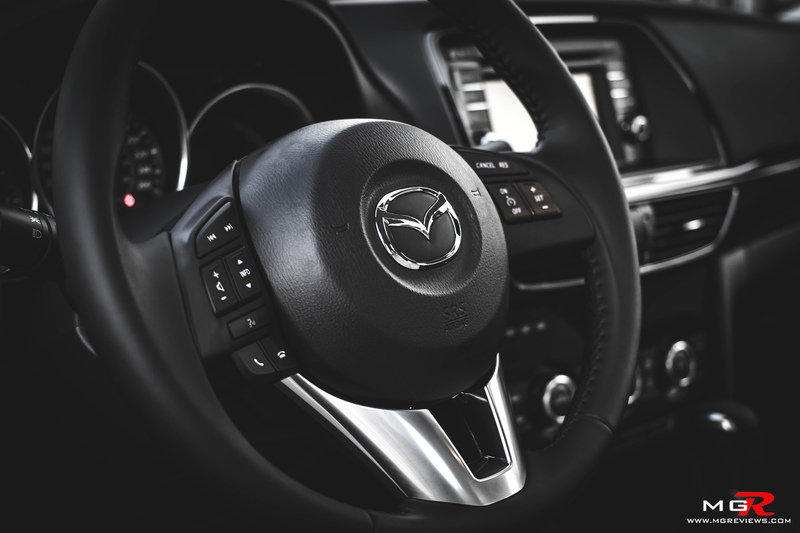 The design of the dash and center console is a bit on the conservative side when compared with its little brother, the 3, but it’s not an ugly design by any means. There are two things however that really aggravated me on this 6. 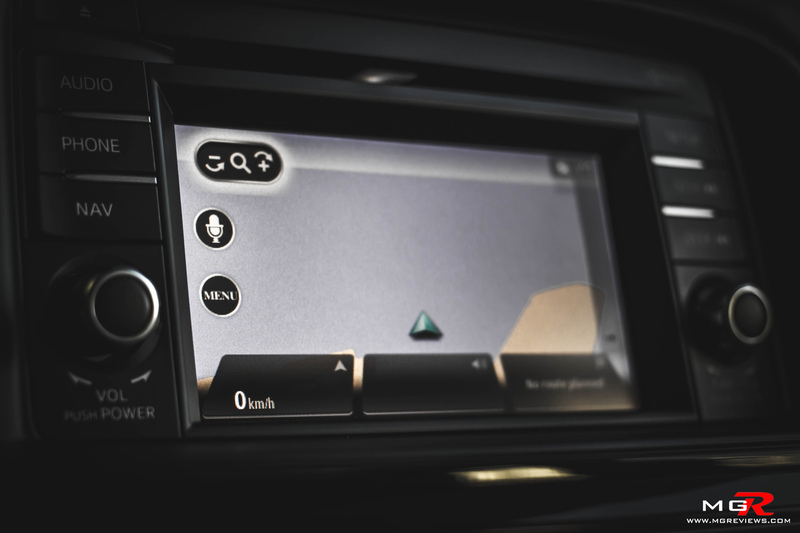 First, the touch screen in the center is smaller than on other competitor’s cars and it’s not pointed towards the driver. It feels too far away and I always felt like I had to get out of my seat to reach it and use the touch controls. Secondly, I counted 15 buttons on the steering wheel, that’s half a dozen too many. Having that many buttons on the steering wheel clutters it and is just unnecessary. On higher trim models, every gadget and gizmo that you’d find on a German executive sedan can be added to this “average” family sedan. 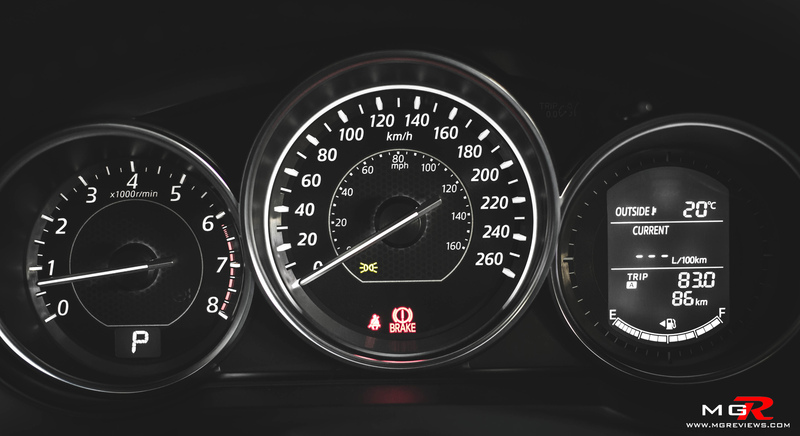 Satellite navigation, satellite radio, adaptive headlights, radar guided cruise control, blind spot monitoring, adaptive front lighting, smart city brake support, lane departure warning, and the list goes on. All of these “toys” do however drive up the price of the car. This mid-range GS trim test vehicle comes in at just over $27,000 CAD. 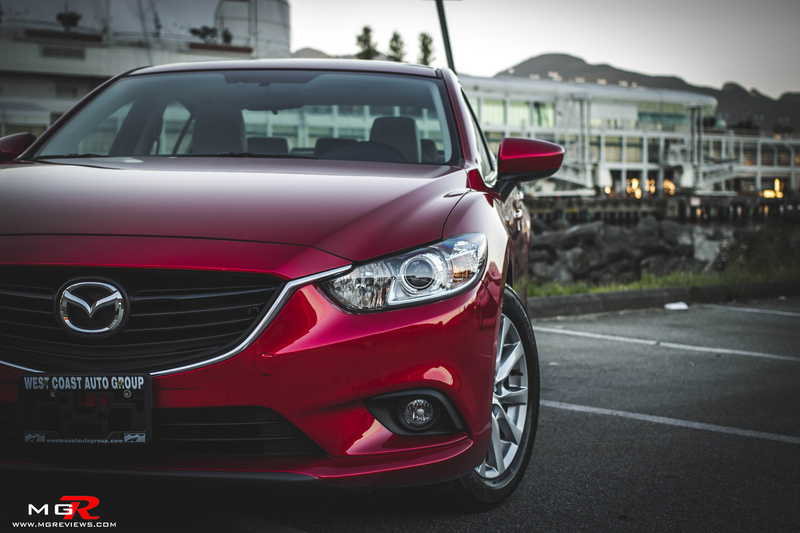 A fully kitted Mazda6 can cost as much as $40,000 CAD. But in fairness, it is still cheaper than most of the European sedans with the same options. 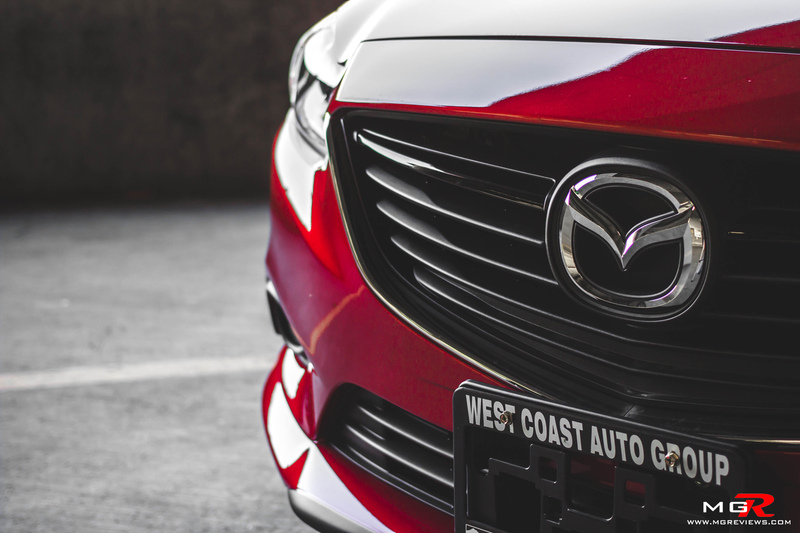 Odds and Ends – This is Mazda’s second vehicle to fully implement their new Skyactiv technology (first being the CX-5 crossover). 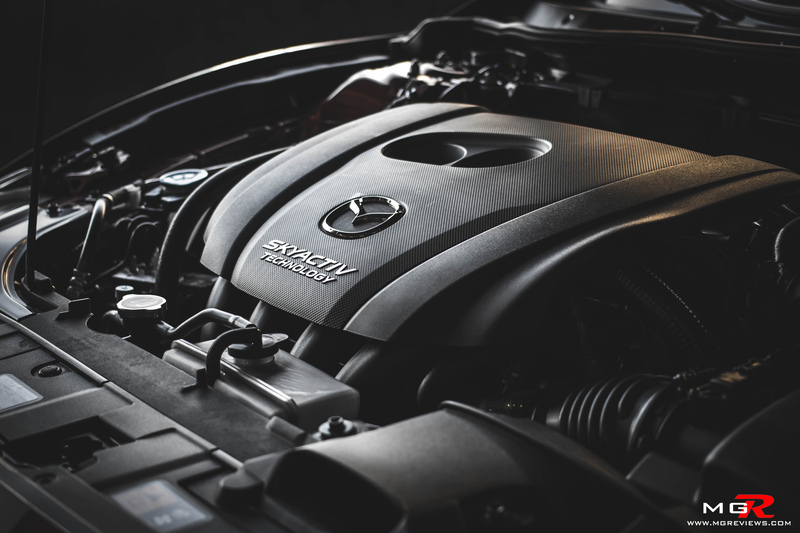 Skyactiv doesn’t refer to just one thing, it’s a collection of a lot of minor changes that add up to make a big difference. In the engine, new lower friction coatings were used on the cylinder walls, increased compression ratio, direct fuel injection, and less overall weight. The transmissions were designed to reduce friction and the chassis, as mentioned before, is made of aluminum and high tensile steel to reduce weight without compromising safety. All of these weight savings and reductions in internal friction add up to a fuel consumption rating of 8.4L/100km in a city and 5.9L/100km on a highway. 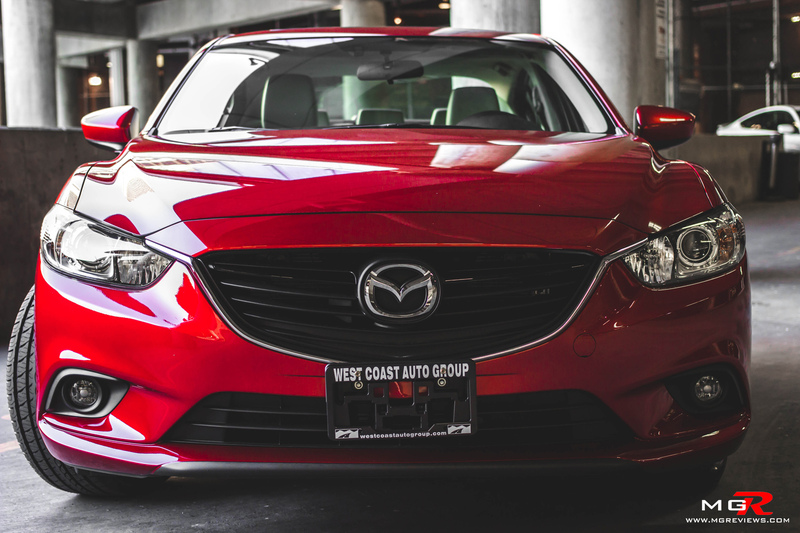 Mazda has raised the bar with the 6 in terms of technology and driving characteristics. 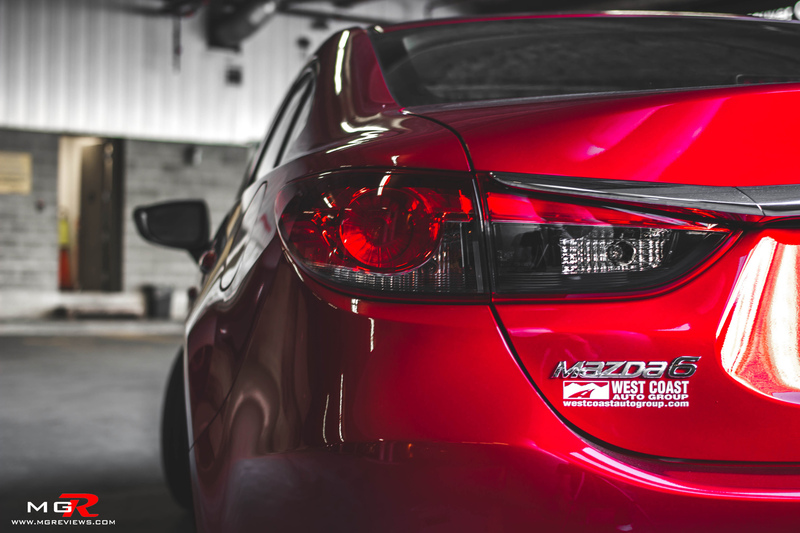 Now it’s their competitors who have to play catch-up and reach the same level that Mazda is currently at.